The story of an American girl's year of study in France During her junior year at Park College, Missouri, Judy du Jardin, daughter of author Rosamond du Jardin, studied in France for a year at Aix-en Provence. Rosamond du Jardin said of this book, "This is a different sort of book. All of the characters in it are real people, although some of their names have been changed. Every single incident related here really happened. 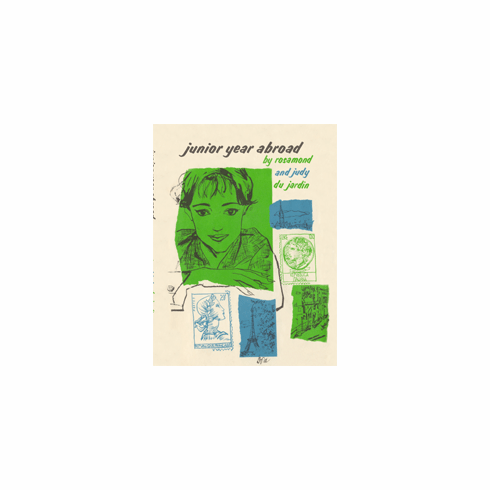 Judy is my youngest daughter and the letters she wrote home from France during her year's study there were so entertaining and filled with adventures, I thought teen-agers everywhere might enjoy them. And so, together, we have adapted them into a book. The story is entirely from Judy's viewpoint; in a great many parts it is in her own words. And I hope that girls who have enjoyed reading about Tobey, and Marcy, and the twins, Pam and Penny, will enjoy Judy's story too." Softcover Edition.